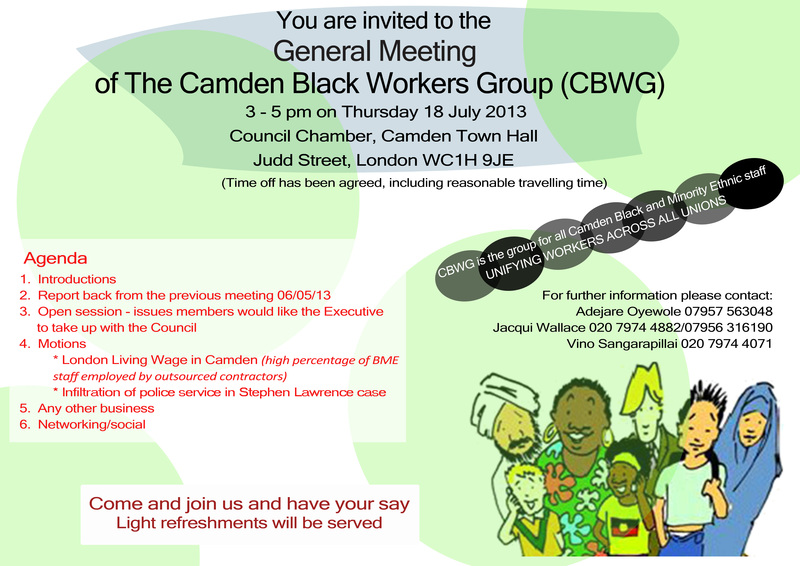 This is to let people know that the next Camden Black Workers Group meeting will be in the Council Chamber (Camden Town Hall) at 3pm on Thursday 18th July 2013. Time off has been agreed with management. 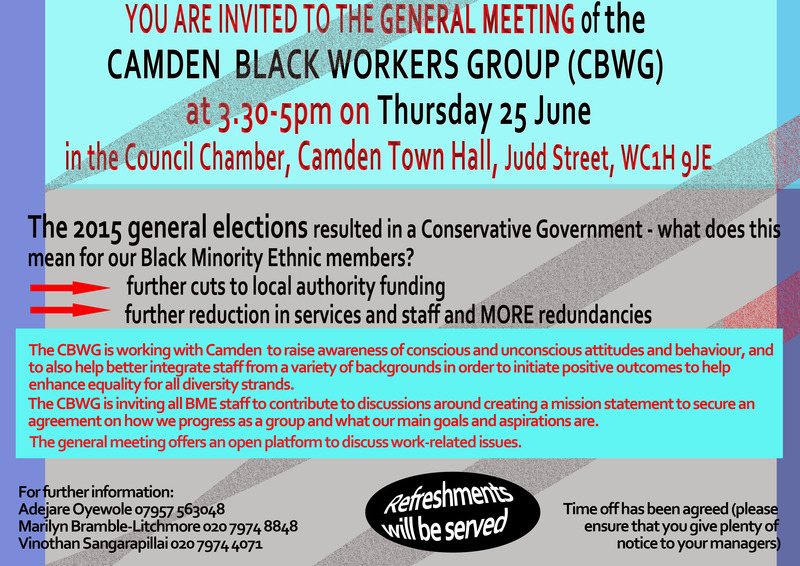 We will be asking people at the meeting what they want the Group to ask from management and what our priorities should be.